Heartlands HIV Service is a specialised unit at the University Hospital Birmingham NHS Foundation Trust, dedicated to the diagnosis, treatment and ongoing management of patients with HIV. 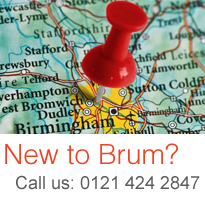 One of the leading HIV services in the Midlands, we are at the heart of a city with the highest prevalence of HIV outside of London. Our experience and expertise is nationally and internationally acknowledged, and our comprehensive service offers patients complete care, support and management at every stage of their pathway. We meet the full range of national and local requirements, and co-operate actively in HIV surveillance and key clinical audits with partners such as Public Health England and the NHSPC. We offer specialist assessment and ongoing management of HIV and its associated conditions within a dedicated clinical environment. Our focus is on keeping patients well and reducing onward transmission. In this way, we maximise every outcome for our patients, putting them at the very centre of the management of their condition – and of each decision made about their treatment. Our high quality care is responsive to the needs of our local area, and we are embedded in the local community. We are committed to a holistic vision of HIV care and prevention, offering models of shared care, onward referral (to GPs etc. ), and clear practical, psychological and educational support to minimise transmission and maximise retention in care. We communicate with colleagues across many disciplines, and work with patients, obtaining consent and permission at each stage, to ensure that their non-HIV care, too, is of the highest and most appropriate quality possible. We also undertake health promotion and outreach.